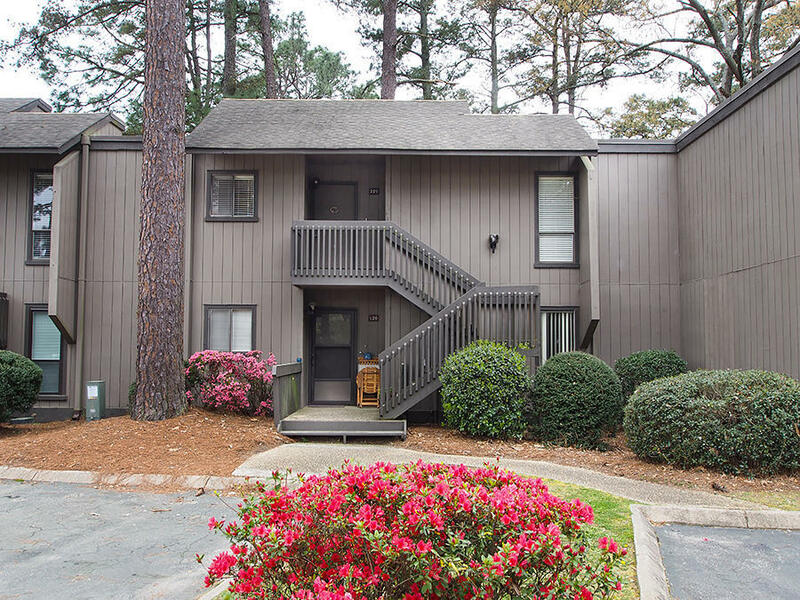 Great 2 bedroom, 2 bath furnished upper level middle unit condo with million dollar views of Pinehurst Country Club course #5. Just across the street is the trotter track, Fair Barn and main entrance to the US Open golf tournament that will be returning in 2024. The covered back deck is great for entertaining and overlooks the 2nd green. Great golf views from most every room! The living/dining combo is carpeted with sliding glass doors to the back deck. The kitchen has been updated with new tile floor, brand new refrigerator and wood cabinets. The HVAC system was replaced in 2010. There is a Pinehurst CC transferable membership being offered at 50% off! Great lock and leave getaway or investment property!